A craft beer's marketing campaign has sparked outrage for its sexist overtones. Its line-up of "moist" beers includes a Filthy Brunette, Easy Blonde and Ripe Redhead beers, as well as a beer name that contains a slur. Vale Bru is now regretting the campaign, but is sticking with the names, which it believes are gender neutral. A Johannesburg-based craft beer company has come under fire for a sexist new marketing campaign. 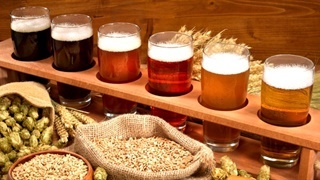 Vale Bru promoted its “moist” and “gushing” range of beers last week. It includes the "Filthy Brunette", which is an Indian (sic) Pale Ale , well as an Easy Blonde beer, with the tagline 'All your friends have already had her'. It also offers a Raven P*rra (an unflattering slang word for a Portuguese person) – “A porter with the best head in town” – beer and the Ripe Redhead - "Previously a Ginger P*key" (slur for people of the Traveller community). The campaign sparked an outcry among women in the craft beer industry, including Thandi Guilherme, founder and author of the platform Craft Geek, who wrote a strong-worded blog post. It’s like a bunch of 14 year old boys were tasked with designed a range of beer labels, Lucy Corne, founder of The Brewmistress, said in her missive. “I haven’t slept since Monday,” Mias Nel, a partner at Vale Bru, told Business Insider South Africa. He said that the outcry over the past couple of days has been much greater than they expected. 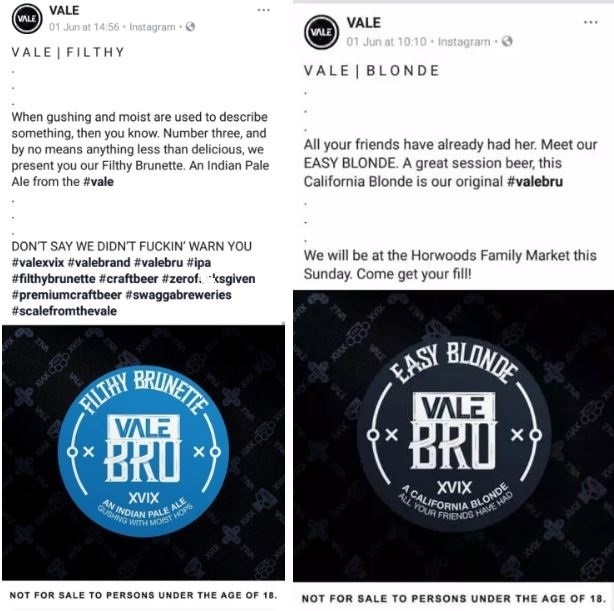 Vale Bru now plans to “engage with the ladies” in the craft beer industry – “to educate ourselves about sexism”, which Nel now believes is prevalent in the industry. “We don’t want to be cowards. We are really good guys,” he said of himself and his partners. She told Business Insider that Vale Bru is in a very tight spot. Nel says that the company is sticking with the names. Vale Bru, which is based in Edenvale, doesn’t brew the beer. It relabels and distributes beer from the Swagga Brewery in Alrode. 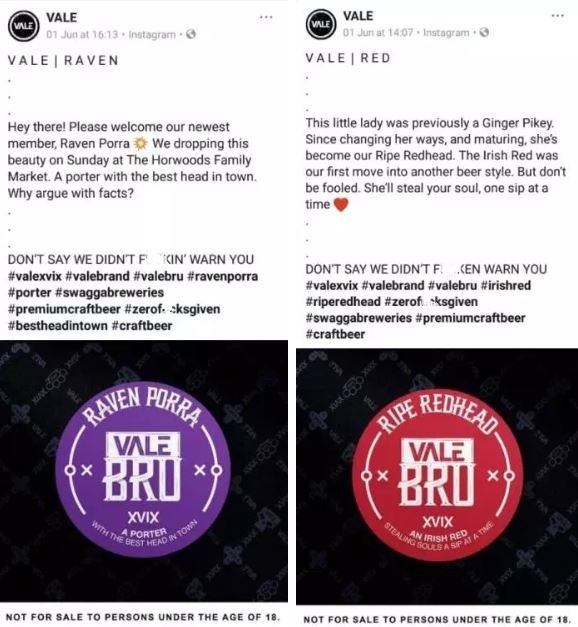 Apart from the sexism, Guilherme points out that Vale also got some of the brewing basics wrong, including referring to “Indian Pale” (should be India) and referring to “gusher” in a positive light, while it is in fact a term for an infected beer. When it comes to marketing, Vale could learn from many other brewers that are getting it right when it comes to cheekiness, including Mad Giant, Frontier, Devil's Peak, Old Potter's Inn, Jack Black, Two Okes and Stimela, she added. 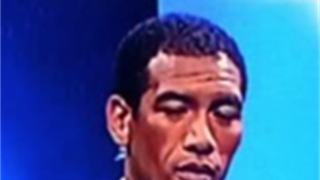 Castle says it isn’t taking Ashwin Willemse’s side with its new label-free beer. But it is worried about the race debate in SA.